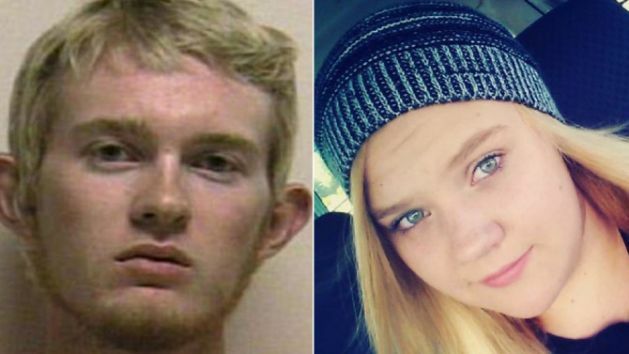 A Utah man, Tyerell Przybycien, 18, will be tried for murder in the hanging suicide of 16-year-old Jchandra Brown, whose twisting body was captured on video. Przybycien was arrested, charged with murder and a misdemeanor count of failing to report a dead body. A judge ruled Tuesday that he should stand trial in the death of Brown, who asked Przybycien, a close friend, to help end her life. According to prosecutors, Przybycien texted a friend, saying he was excited to watch someone die. “It be awesome,” he wrote. It would “be like getting away with murder”. He thoroughly planned the details of her suicide with her and even went as far as buying rope and a spray air duster for her to use to kill herself. He picked her up from work on May 5 and drove her to Maple Lake, a site he had researched, authorities said. Przybycien helped fasten the rope to a tree and tied a noose for the poor girl because she didn’t know how to do it herself. Then he made a pedestal for her to stand on and started recording the teenage girl committing suicide. With his cellphone, he recorded her putting the noose around her neck and inhaling the pressurized air, which caused her to pass out and fall off the pedestal. Even after she fell off the pedestal and was twisting in pain, Przybycien continued filming for 10 minutes, authorities said. He left the phone near her body, along with the receipt showing that his credit card was used to purchase the rope, prosectuors said. Przybycien's attorney said his client’s actions did not cause the girl’s death and that she was responsible for ending her life. Tuesday’s court ruling said it was “reasonable to infer” that he intended to cause Brown’'s death, adding that without his actions, she would not have died. If convicted of murder, Przybycien could face 15 years to life in prison. However, he is expected to enter a plea bargain later this month.